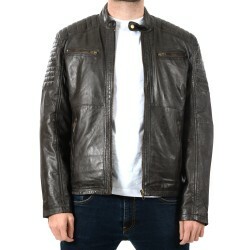 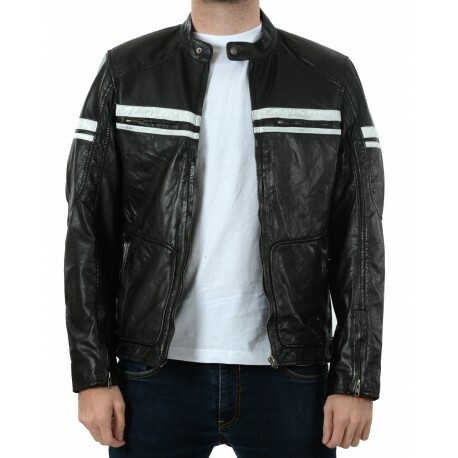 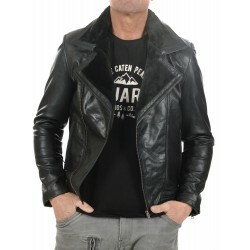 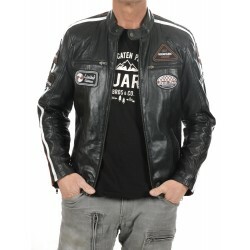 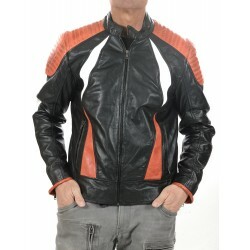 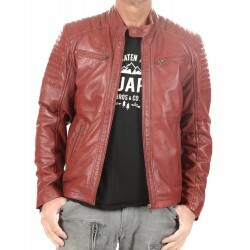 This leather jacket for man stands out for its simple and elegant style; it has a short and fitted look and a combination of a black/white leather stripe. The jacket has two interior pockets; one of them has a zip. 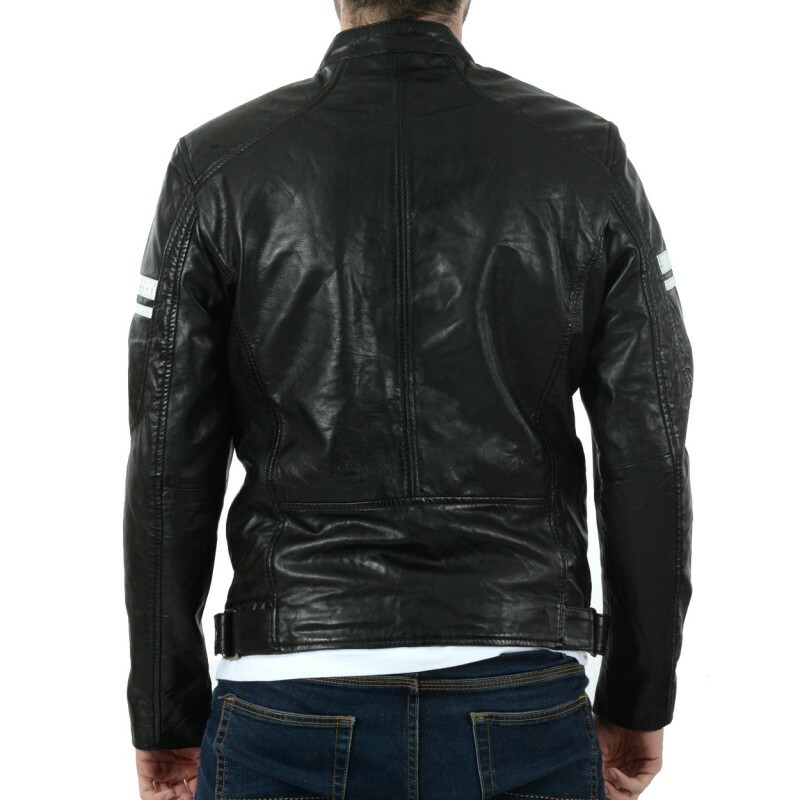 The four frontal pockets are ended with a zip. 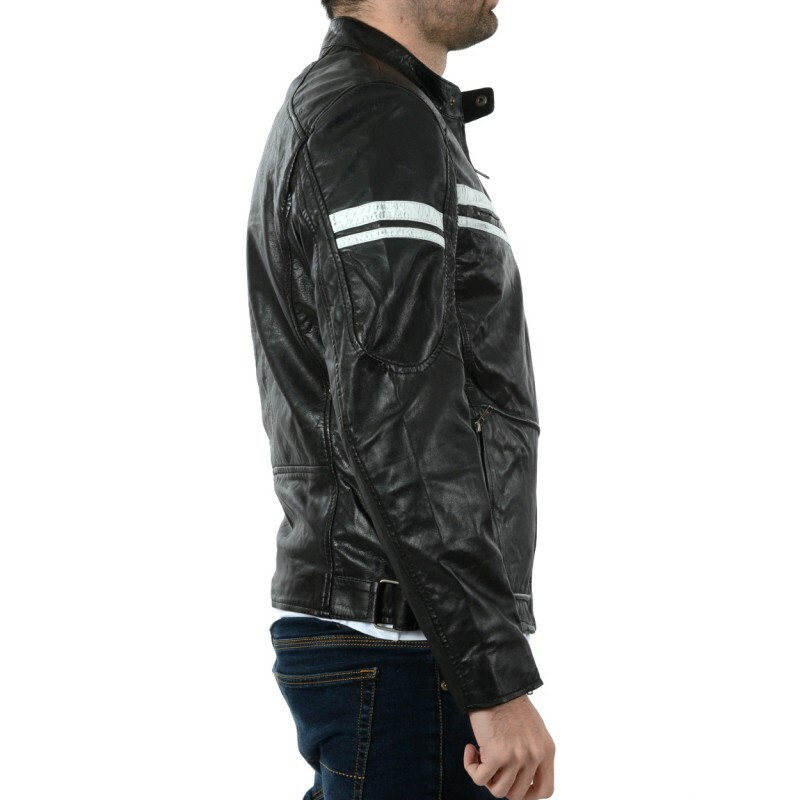 The cuffs are also ended with a zip. 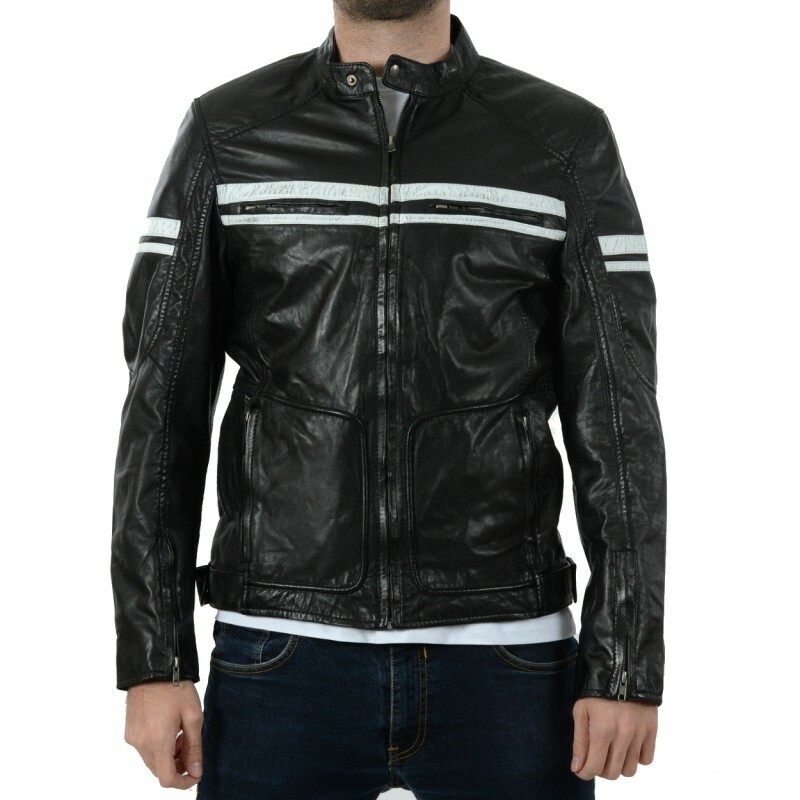 It has no padding in the lining in order to wear it any time of the year.